Hair loss affects almost everyone. Sulfur and selenium in garlic helps strengthening the hair shaft. Garlic extracts oil and pills can promote re-growth. Suffering from hair loss? Well, who isn’t? Hair loss is so common these days that both men and women start experiencing it at a very young age. In men, this problem is often associated with growing older and having a genetic tendency to develop male pattern baldness while in women it can be a different matter altogether. It is important to tackle the root cause of the problem. There are several home remedies that can help you get your hair healthier and longer by preventing hair loss. 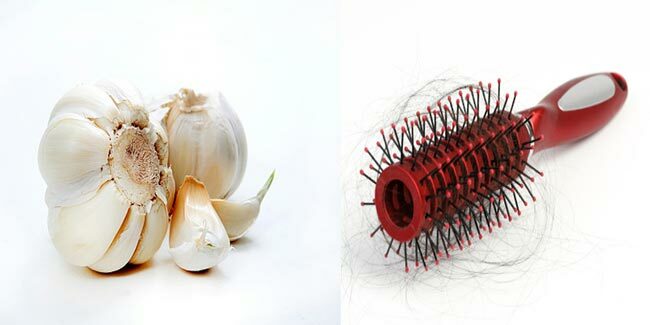 If you are looking for natural ways to prevent hair fall, look no further than garlic. Previous post: Massaging Your FEET Before Going to Sleep is Very Important for Your Health… The MIRACLE Starts Here!